How can today's teachers, whose classrooms are more culturally and linguistically diverse than ever before, ensure that their students achieve at high levels? How can they design units and lessons that support English learners in language development and content learning—simultaneously? 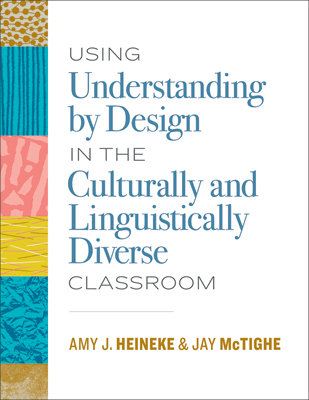 Authors Amy Heineke and Jay McTighe provide the answers by adding a lens on language to the widely used Understanding by Design® framework (UbD® framework) for curriculum design, which emphasizes teaching for understanding, not rote memorization. Amy Heineke, is an associate professor of Bilingual and Bicultural Education in the School of Education at Loyola University Chicago, specializing in teacher preparation for English learners. Jay McTighe, served as director of the Maryland Assessment Consortium, a state collaboration of school districts working together to develop and share formative performance assessments. Prior to this position, he was involved with school improvement projects at the Maryland State Department of Education where he directed the development of the instructional framework, a multimedia database on teaching.